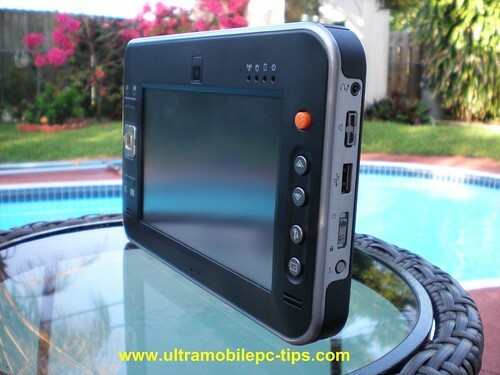 The first thing I noticed when I saw for the first time the Amtek T770 UMPC was the design. This device looks a lot better than the old T700. The T770 is black with some parts in silver. The unit that I tested came loaded with Windows Vista Home Premium. Even when the Amtek T770 uses a VIA C7M at 1200 MHz, Vista performs very well in this device. Compared with my T700, it runs better on this one. I opened Media Center and it worked perfectly. It was easy to browse around the picture, music and movie library. I opened the samples movies and their playback was good. One of the differences between the T700 and the T770 is the 770 includes a Webcam and a integrated Microphone. Another big difference between these two devices is that the T770 includes two speakers with a sound quality superior than the one in the T700. The speakers are located one in each low corner. The Microphone is located in the bottom bar between the two speakers. 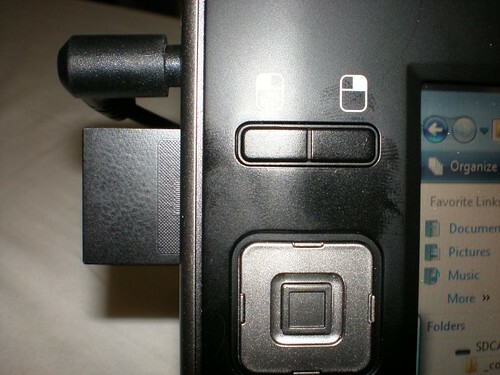 The Webcam is located in the top bar, in the middle. The screen in the T770 is "softer" than the one used in the T700 so the experience using DialKeys was a lot better. Another good point is that this device comes with HID support right out of the box. For some reason when I turned on this demo unit the touch screen was not working. After a little bit of research I found that the eGalax touch screen driver was not properly installed. I recalled about my experience installing Vista in my Amtek T700 and uninstalled the driver, cleaned the HDD, run Windows Update and I got it back working. One of the first things I checked on this device was the battery life and I was disappointed to see that in this field the Amtek T770 is not better than the T700. In both devices the battery life is between 2 hours and 2 hours 15 minutes according to my tests. 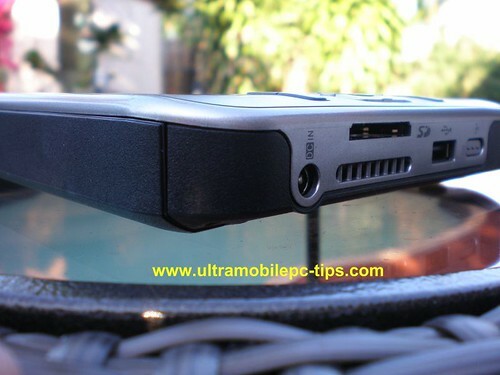 The battery in the Amtek T770 is also located in the top side of the device but the compartment is fully located in the back, no like in the T700 where the battery is located in the top taking part of the front side and the back side of the device. 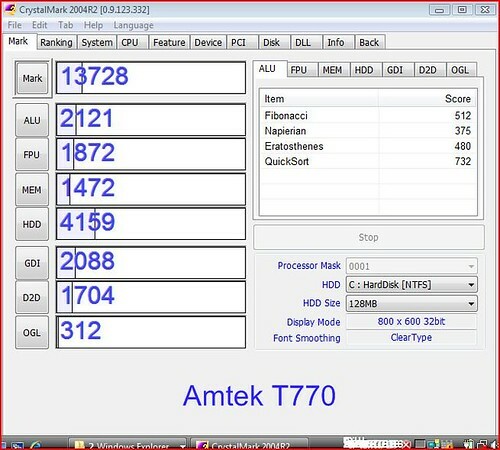 Even when the T770 runs at 200 MHz faster than the T700, the performance in both devices is about the same according to my tests using CrystalMark Benchmark. It seems to me that this probably is due to the fact that this machine is running Vista which is a little bit heavier than XP. Vista Performance Score on this device is 1. This is due to the fact that this device does not support Aero. Video playback was better in this unit than in a T700. I was able to play a DVD without any special tweaking something that took me a while in the Amtek T700 installing players, codecs and tweaking the device. 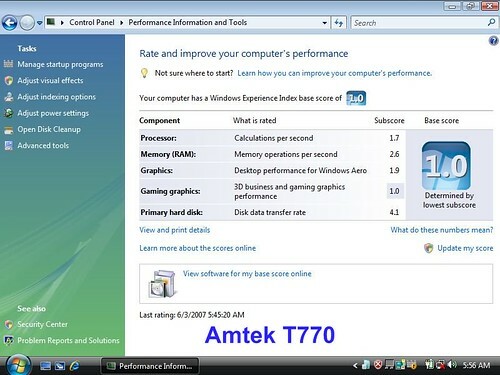 What I did not like from the Amtek T770? This device is really noisy. The fan can be clearly hear from 5 feet away. The other thing that I did not like is the location of the heat dissipation hole. The hot air is blown from the device right into your left palm. This is to me a defect in the design that Amtek carries from the T700. Even when this device works cooler than the T700 it still work at a higher temperature than my Q1 with the difference than the heat dissipation hole in Q1s is located in the top of the unit blowing the hot air away from you. 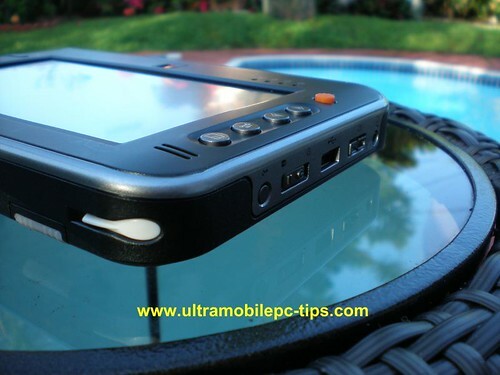 The Amtek is a nice UMPC that still aiming the business market. The performance is enough for working with Office, Powerpoint presentations, having a little fun when you are in a business trip. It seems to me that Amtek learned a lot from the T700 Experience, the inclusion of integrated Microphone, Stereo Speakers and a Webcam are very wise steps toward the Home Market. This device is closer to reach the appealing needed for the Home Market but still not there. Amtek needs to work harder to reach the same battery life that other companies like Samsung are reaching with that same VIA processor. Is the T770 better than the T700? Definitely yes. Would I recommend this device? Depend. 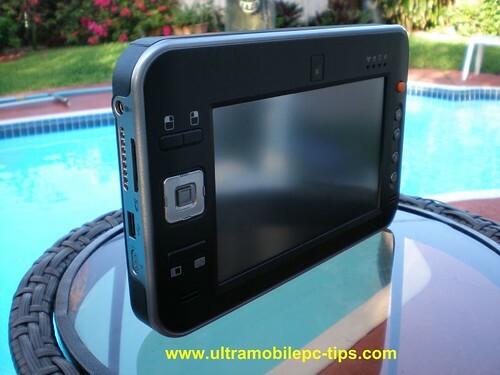 If you are a business looking for a UMPC yes, if you are regular user looking for really good performance this device is not for you. And do not get me wrong, the overall performance is not bad, but it's not at the same level than in any Intel based UMPC. 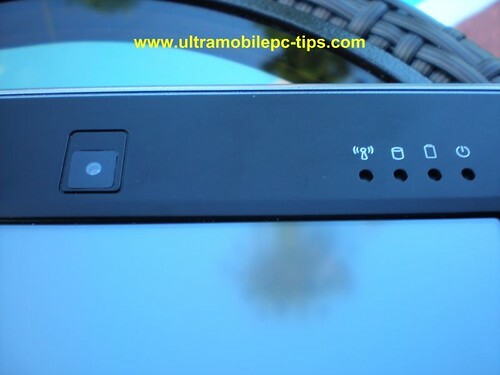 If you are a regular user that does not care about performance but you want an integrated webcam and microphone without having to pay a extra money, yes, you will find in this machine these features and probably you will end paying less than if you buy one of the first generation Samsung Q1 which did not include a Webcam. I would like to thank Alliance Technologies Partners for sending me this unit for this review. You can find more pictures of this machine here. one another difference: t700 had harder touch screen. Yes, I forgot to mention that! So I assume with the soft touch, any palm on glass results in major vectoring problems? Any feedback on this appreciated. Well, I have been a long time user of Pocket PCs so when I'm using the pen I usually do not touch the screen when I'm writing, and that's not that hard to do if you move the TIP close to the bottom when you are writing. But if you can't do that, yes, you will have the vectoring issue a lot because there is not any type of rejection system installed to avoid that kind of issues. But in another hand, it's a lot easier to use the device with your fingers. As a new owner of the T770 I can agree with much that's said. It's a great device and runs pretty fast. 802. Wireless seems to have a very weak signal, about 10 metres only before I lose connection. The warm air is not an issue, you just adjust your hold slightly. I am almost sure you tried other videos than DVDs... Can you let us how the T770 performed with HD content? Else how is the screen outside? Another question.... how fast is resolution switching and how good is the reading at "high" resolution? The resolution switching is about the same than in other UMPC. 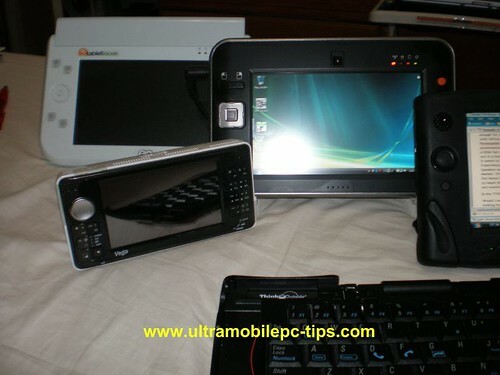 The screen in both eos, the T700 and the T770 is better than in my Q1. The screen in amtek devices is sharper, while in the Q1, at least in the celeron unit that I have it's like a little bit washed, it's not as crispy as in the Amtek T770. About, video, I tried couple HD movies with a bibrate around 7900 kbps and 8000 kbps and the playback was back. It was more like a slide show. But in my Q1 Celeron those two movies play just a little bit better. If that can be called "play". I tested a few other divx that I have with bibrates around 1200 kbps and the playback was really good (these are 1 GB of size dvix movies). This product should not be bought. The fan is a MAJOR defect in this product. In any operation, the noise this vacuum cleaner generates is abysmal. You will be embarassed if u try to use this device in proximity of co-workers or clients. You will be very annoyed when playing vids; the constant blowing hiss in the background will get on your nerves. I think it is poor design and the racket in dbs should be mentioned on the product sheet. People would surely stay away from this product, given the price. 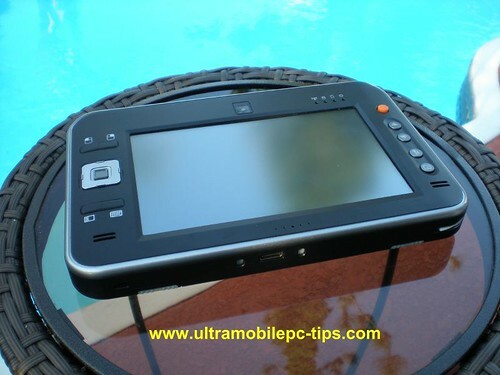 Hi good afternoon, I have a T770 pc Ultramobile origami device, I damage the hard drive and touched me install the whole operating system but can not find drivers for windows xp or windows 7, you know where I can get. Sorry Mauricio, I do not have a clue of where to find the drivers.